Sikkim is the land of varied ethnicities and tribal groups, with the Tamang community being one of the biggest and widespread of all. Sonam Lhochhar, also spelled as Sonam Lhosar is the most significant and extravagant festival of this culturally rich community, which marks the beginning of the Tibetan New Year and is celebrated with great fanfare and zeal every time; men & women adorned in their colourful and traditional attires, masked men dancing to the rhythmic beats of damphu (a traditional small round drum) and elaborate spreads of exotic Tamang cuisine is something which is always looked forward to by the visitors and travellers planning their trip to Sikkim during the festival. Sonam Lhosar is said to have a history dating back to thousands of years and works in close accordance to the rules of the Tibetan lunar calendar. The first day of new moon in the month of Magh (when Lord Buddha is believed to have born) counts as the greatest day of significance for Tamangs and that is the reason, this day marks the beginning of the Sonam Lhosar festival. Besides North East India, the festival is also celebrated at a grand level in Nepal, Bhutan and Tibet where the people from Tamang community reside in great numbers. Precisely, Sonam Lhosar commences during Magha on Shukla Pratipada (beginning of the spring season), which happens to fall somewhere in the month of January-February. The celebrations begin with cleaning and decoration of the households and continues for almost two weeks with people flocking to monasteries to offer their prayers. This is the time when friends and families also gather together for festive meals and dinners; music and dance too is an inseparable part of this beautiful festival, which truly provides for a memorable and fun time to all those taking part in the celebrations. Damphu (a traditional round hand drum) Dance is the major highlight of the Sonam Lhochhar festival and is performed by the masked lamas to get rid of all the negative energies and evil spirits. Many of the monasteries throughout Sikkim organize this dance which is further followed by exotic feasts and other cultural programmes such as dramas and skits showcasing the events from the life of Lord Buddha. 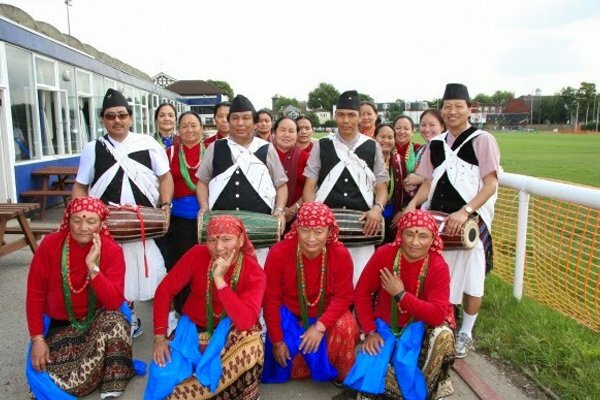 Tamang folk songs, also known as ‘Tamang Selo’ are yet important highpoint of the Sonam Lhosar festival and form an integral part of the celebrations, providing a deeper insight into Tamang culture and traditions.